Happy New Year, everyone!!! I hope everyone had a great holiday and are having a wonderful 2015, so far! I was fortunate enough to have my Mom and my brother in Memphis this week to celebrate the New Year. Before they arrived, I tried to plan out what we would do at midnight because Downtown Memphis can get pretty crazy this time of year. Many of the typical spots we frequent bring in DJ's, a fancy menu, and implement a large cover for New Year's Eve. I knew I wanted something low-key, but also something Memphis-y and fun. I didn't want a club atmosphere, I didn't want to be climbing over other people, and I definitely didn't want to spend an arm and a leg just to get in the door. I also didn't just want my visitors sitting on my couch at home to ring in the new year. So, I did what any blogger would do, I turned to Twitter. 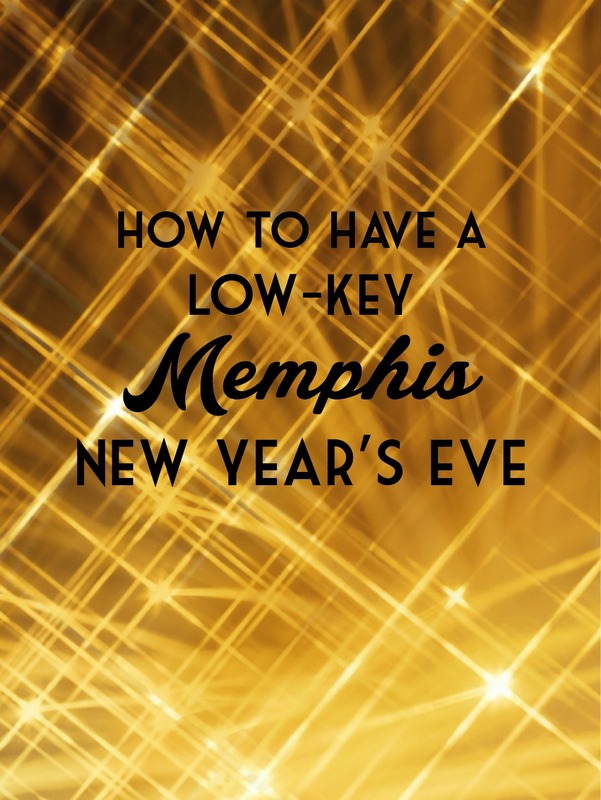 Some said a low-key New Year in Memphis couldn't be done! I said, balderdash, it can most definitely happen... and guess what, it did! We started the night a Pearl's Oyster House for dinner. We went around 8:30 pm and walked right in. I was concerned that there would be a wait, but the crowds were nowhere to be found. We took our time and ordered from their regular menu which included all our favorites (yummm char grilled oysters). I was glad there was no specialty menu for the occasion since I wanted to show off Pearl's to our guests. After this, we headed towards Beale Street. The one place I wanted to avoid. My Mom and my brother were staying at the Westin right across from the FedEx Forum. They had told me that they had a great view of the Guitar Drop from their hotel window (For those of you not in Memphis, we have a guitar that drops at midnight at Beale Street) so that's where we went. I'll be honest, I was surprised at how few people there were walking around! After everything I had heard, I thought Beale Street, and downtown in general, would be swarming. It wasn't. We ended up watching the guitar drop from the hotel, while also having it on the television, however, we could have gone down to Beale Street and not battled a crowd. From their window, we could clearly see the corner of Beale and Third and there was nobody there! Overall, I think what we did was perfect (for us). It was low-key, it was Memphis-y, we didn't run into any crowds, and we had an amazing view of Beale Street, especially of the fireworks at midnight.